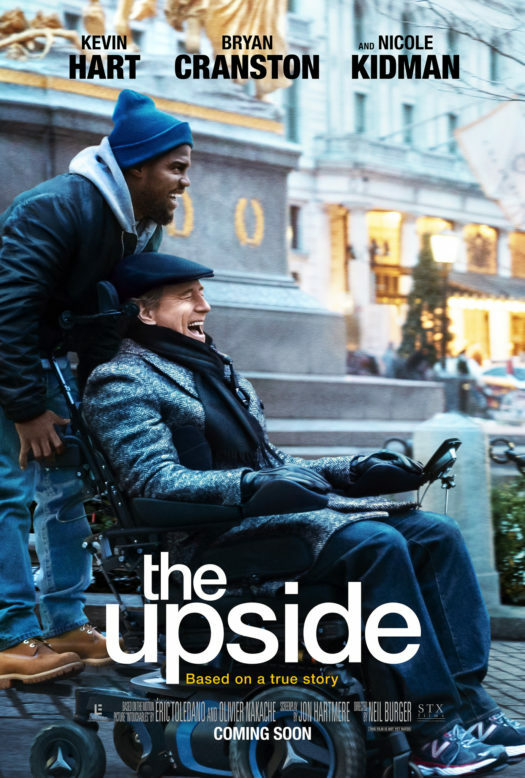 The Upside is a comedy/drama film that was directed by Neil Burger. Neil Burger is known for being a film and television director, writer and producer. He is also known for the fake-documentary interview with the assassin, the period drama The Illusionist, Limitless, Sci-fi action film Divergent. Burger’s nominations were Independent Spirit Award for Best First Feature, Independent Award for Best First Screenplay, and Independent Award for Best Screenplay. This film was released on January 11, 2019. It focuses on Philip, who is acted by Bryan Cranston, is a wealthy person that is in need of a caretaker to help him with his daily day routine. Philip decides to hire Dell, who is acted by Kevin Hart. Dell is a struggling poor guy who is trying to reconnect with his ex-girlfriend and his young son. Despite the fact that Philip and Dell come from two completely different worlds, both of them start to create an unbreakable bond of friendship. This movie is a great movie to watch with family and friends. It is a really funny movie to watch, especially since Kevin Hart is in it. Many reviews that were based on this movie were all great. Many people thought that the movie was also a very humorous and comedic feast. I would really recommend this funny and heartwarming movie to anyone who would like to spend time with their family or friends.